Hours 1-4. In the car. Listening to all the songs on my iPod alphabetically. More fun than it sounds. We’re in the Ts. “Thank You” by Chris Harford followed by “Thank You” by Dido followed by “Thank You” by Natalie Merchant. Dave is doing the driving, I’m doing the knitting. I sigh and put aside Aislin, because I promised myself that I would finally knit the socks RockNoodle has been asking for. I cast on. It occurs to me ten seconds later that perhaps my Denise needles aren’t the best choice for magic loop. I twist, the needle comes off the cord. The cord itself isn’t exactly what you’d call flexible. I soldier on, praying that I don’t break anything. Hours 5-6. Our first food stop: Sir Cricket in Orleans. I get a basket of fried oysters, Dave gets a basket of fried clams. We get fries and douse them with malt vinegar. We are officially on the Cape. Also known as food heaven. Hours 6-8. 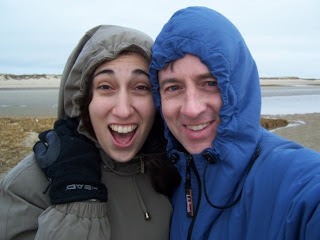 We reach the house we’re staying in for the night, and decide to go mountain biking along the fire roads and trails in Wellfleet. I used to mountain bike all the time, but Dave’s never been, city kid that he is, so off we go. Damn, it’s fun. I’d forgotten how much concentration it requires—turn now, avoid that root, ride those breaks, stop riding those breaks and gain some speed to get up that hill, pump those legs, duck there’s a branch! It’s freezing, but we’re working so hard I’m sweating. We’re trying to head for the shore—sort of veering right whenever we get chance. (The more directionally-minded of you will spot the flaw in this plan right off). But it’s tough going, and eventually it occurs to us that we have gone way farther than it should have taken us to hit Ocean View Drive. We appear to be lost. At this point, we’re just looking for a road—any road. At last we emerge. We have no clue which road this may be. We figure, we’ll head for the ocean, and sooner or later we’ll hit a road we recognize and head home. But which way is the ocean? It’s overcast, so the sun is no help. Dave says “Left.” I say “Right.” We go left. We bike along the road for about a hundred yards. And realize that house right there—that’s our house. We went in a Giant Circle. We are geniuses. The Vikings coulda used us. Not to mention, Hawaiians are excellent navigators. We rule. Hours 8-9. When we have recovered from our fits of humiliated laughter, Dave reads Atonement, and I knit away at RockNoodle’s socks, while asking him constantly what’s happening, but refusing to tell him anything. Just nodding knowingly. I am sure it’s very annoying. 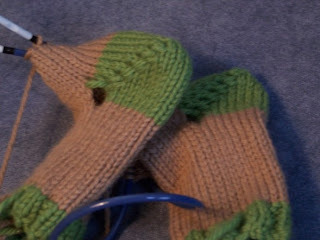 RockNoodle’s socks are boring, but they are flying along. (Size 5 needles will do that). 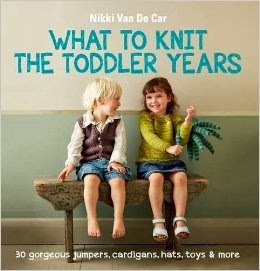 I begin to feel a bit worried—I didn’t bring much yarn for Aislin, because I wanted to force myself to knit the socks. 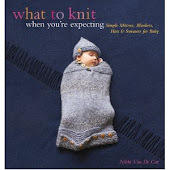 But I don’t feel like reading, I feel like knitting, and so I’m beginning to run out of knitting. I planned badly. I wonder whether there is a yarn store somewhere on the Cape. I wonder how I can convince Dave that not only do I need more yarn, but we have to do more driving in order for me to get it. I also wonder how I will discover this yarn store without the use of the internet. I kick it old school—I run and get the yellow pages. The Yarn Basket is in Eastham—only about ten minutes away. 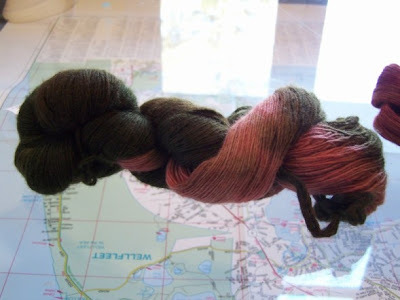 I pull Dave away from Atonement—again—and explain the yarn shortage. He nods. I make it clear that this is an emergency. He looks at the vast amount of yarn I have, and sighs. We get in the car. The Yarn Basket is delightful—an excellent mix of inexpensive, useful yarns, and some absolutely delicious yarns. The owner tries to convince me that I need new sock yarn, but she’s wrong. Not only do I have a skein waiting for me to cast on Beaudelaire, but I just bought all this Kool Aid. 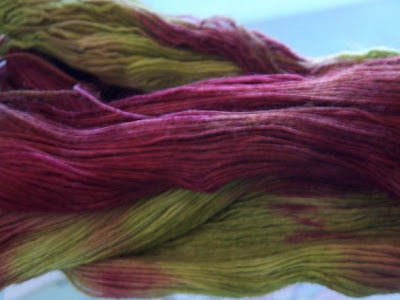 For dyeing sock yarn. I can resist the lure of sock yarn. But then I spot the Malabrigo Lace by the counter. And oh. my. God. I have never felt yarn so soft. And so cheap! And such great yardage! No wonder everybody loves it! Hours 9-10: Dave reads, I fondle my Malabrigo. A dozen oysters, with the Juici’s Jamaican sauce. Juici’s Jamaican is greenish yellow, clear, and spicy. It’s got flavors of maple syrup, onions, peppers, vinegar, and Scotch. It is perfection. A beet salad, with arugula, fried goat cheese, and crumbled pecans. An Angus Sirloin, that you can cut with a fork, slathered in a thick brown sauce made of brown sugar, butter, salt, and bourbon. Split all this between two people, and you will not have room for dessert. Hours 11-12. Dave builds a fire, and we play Scrabble. I kill him, 374-227. Good times. For me. Hours 13-21. Sleep. Interrupted by the house creaking, which Dave insists is the fire crackling. I point out that the fire has been out for hours now. Hours 22-23. We go to The Wicked Oyster for breakfast. The waitress asks if we were there last night. We nod. We really like it there. Hours 24-26. 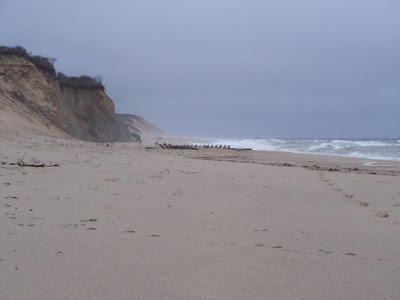 We read and knit for a while, and then go exploring along Newcomb Hollow in search of the 19th Century Schooner that washed up on shore in January. 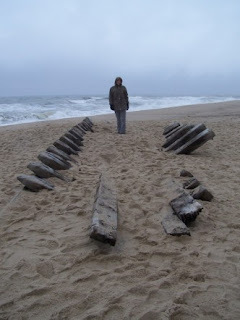 It is still intact, though somewhat buried in sand. Hours 27-28. We go to The Wicked Oyster for lunch. They look at us a little funny this time. We have more oysters, as a farewell gesture. Time is running short. Hours 28-30. We walk along the bay, collecting shells and listening to the gentle laps of the waves against the stone pebbles. It’s windy and cold and utterly peaceful. I wonder if “Jamaica” will produce a color anything like the grey-green of the ocean. I decide it’s unlikely. Hours 30-31. We pack up. It’s getting to be time to go. I finish RockNoodle’s socks, and Dave finishes Atonement. We are both pleased. Hours 31-32. We have dinner at Sir Cricket—the best clam chowder to be had anywhere ever, crabcakes, and more vinegar-soaked fries. We may be a little burpy for the car ride back. Hours 32-35. In the car again. We make it through the Th’s to Cyndi Lauper’s Time After Time. I make Dave sing the harmony. I allow myself to work on Aislin again, but it’s getting dark. I use the light from the glove compartment to read the pattern. We reach home midway through “Meet Me Across The River,” which always makes me weepy. Or maybe it’s just that the trip was too short. My sister swears the chowder (or 'chowda,' as they say up in that part of New England) at the Orleans Inn is better. I totally don't believe her.